When Polaris introduced the first RZRs a few years ago, they revolutionized the very meaning of a UTV and what we could do with them off-road. 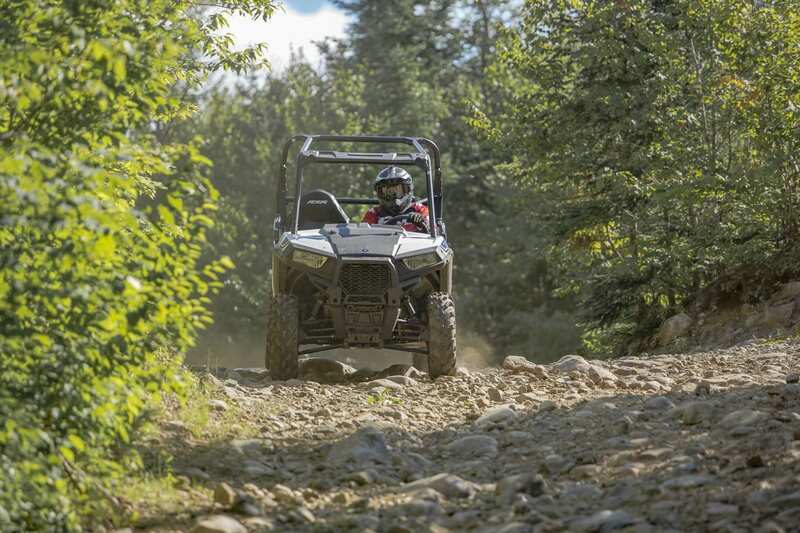 The RZR smashed the very idea that a UTV was just that – a Utility vehicle. As the RZR progressed and new models emerged, the horsepower increased, but so did the width, making them harder to get down narrower trails. 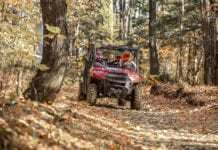 Polaris solved this with the RZR Trail models. 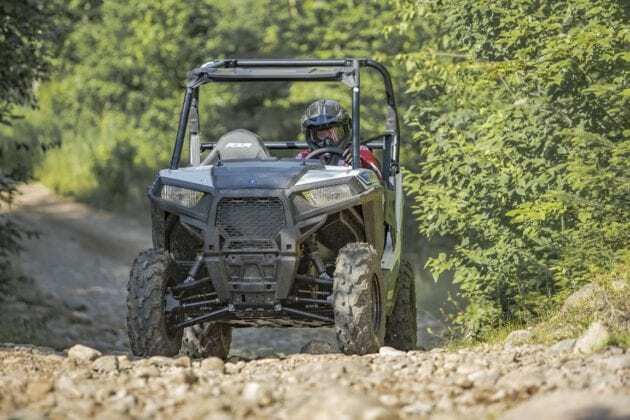 At 50-inches wide, the Trail model is capable of going places normally reserved for only ATVs, but with the conveniences of a UTV. To say we liked it is an understatement. Our test model was the non-EPS White Lightning that was certainly stylish and looking fast, even standing still. 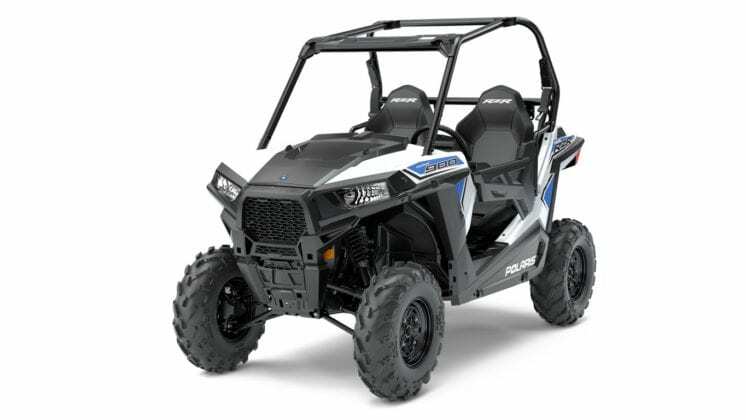 It carries an MSRP of $15,599. 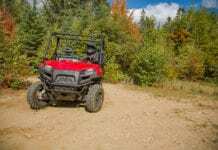 Want to add electronic power steering? The RZR 900 Trail EPS model will run you $17,999, but you also get additional styling and cast aluminum wheels. We found ourselves missing the EPS some, but the base Trail was still a blast to drive and we recommend it. The RZR 900 Trail has Polaris’ 875cc ProStar 900 four-stroke DOHC twin-cylinder engine. 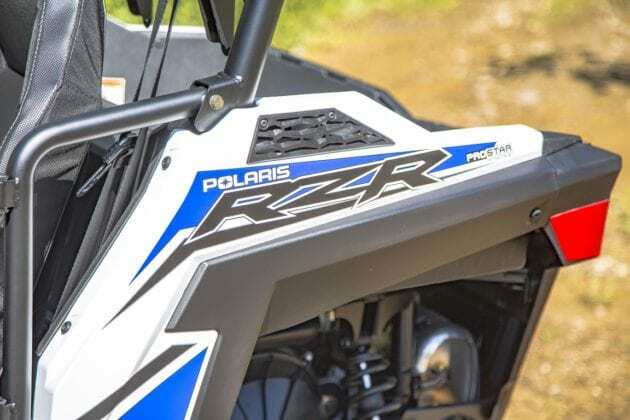 This motor has been a solid producer for Polaris and pumps out 75 horsepower. 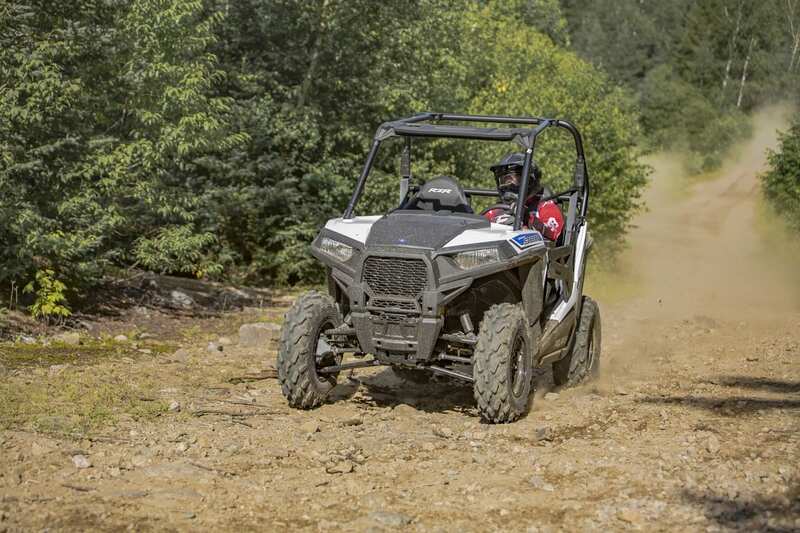 It gives the driver plenty to like as it rips down the trail. The power is very meaty and fun with a solid mid-range hit and it revs out through a decent top end rush. 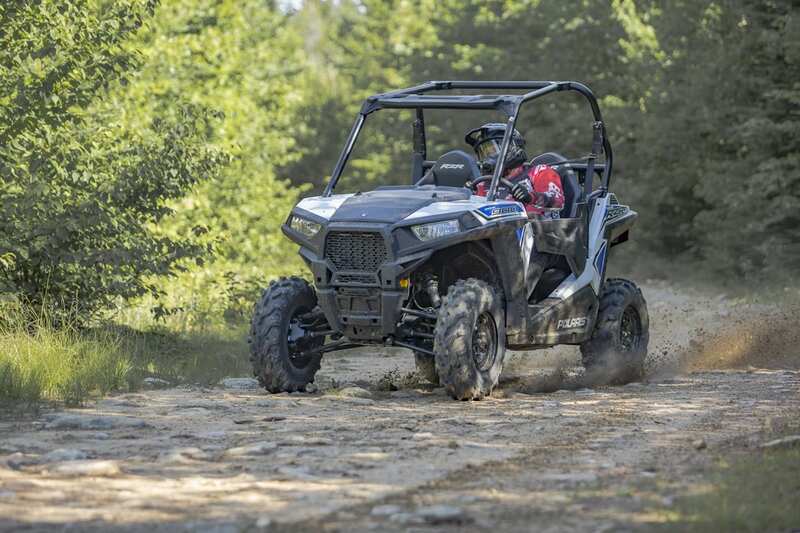 If you can’t have fun behind the wheel of a 900, you’re just not going to have fun with anything. 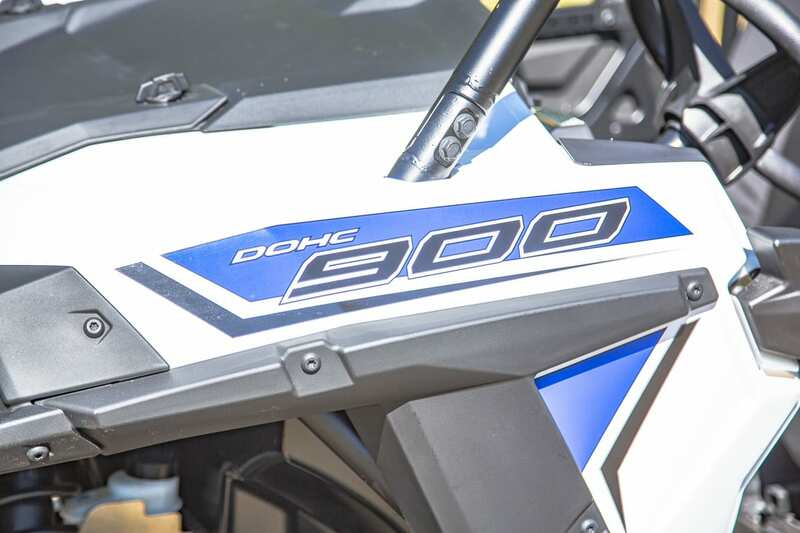 The motor is fed through an electronic fuel injection system that gets decent fuel economy for longer rides. The RZR has a 9.5-gallon (35.9 liter) fuel tank and we’ve found that you can ride pretty hard for quite a long time on a single tank of gas. 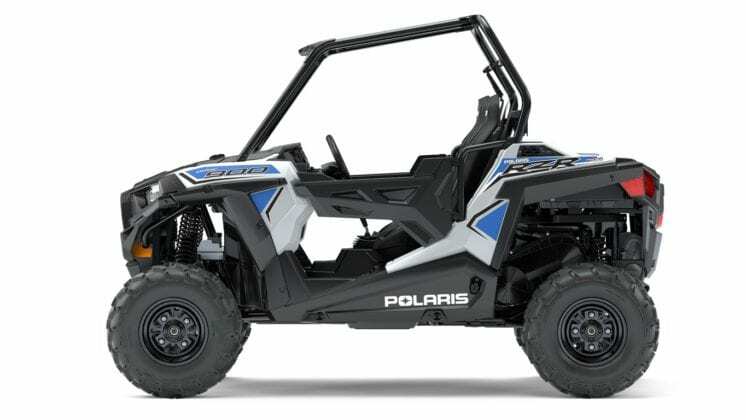 For a transmission, the Polaris CVT system works pretty well. Polaris has used the same system on a lot of different machines, and our test unit didn’t have any additional noise from the belt. It gave a solid hook up and smoothly ran us up to speed when we stomped on the gas. 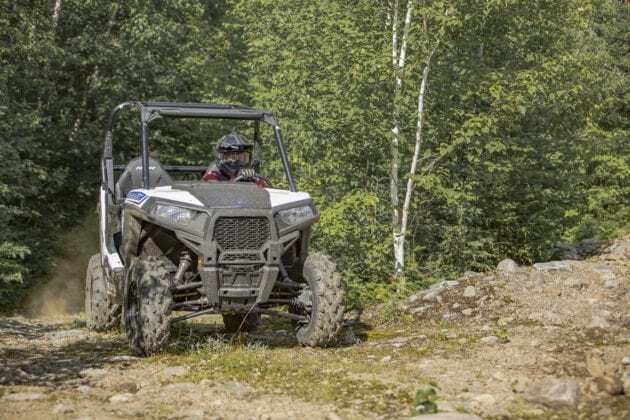 Polaris has long used its On Demand all-wheel drive system with all of their machines. 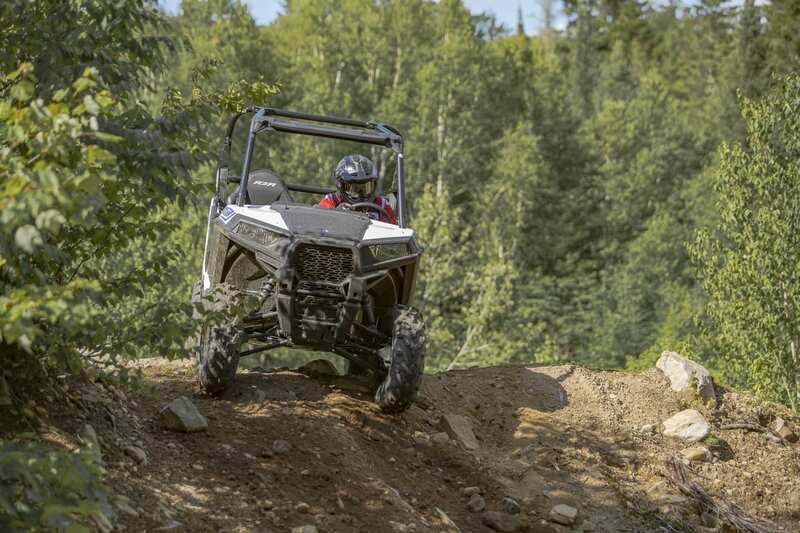 There is no need for a locking differential, because the system senses which wheels are spinning and routes power around. 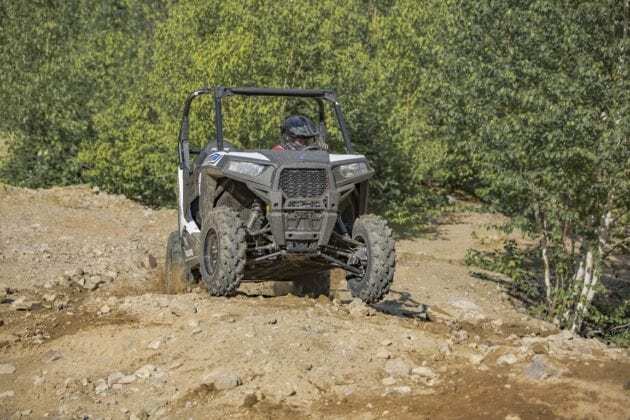 When you have the RZR in All-wheel drive mode, the front doesn’t lock in unless there is wheel spin to cause it to do so. The transition is seamless, and if not for the Trail being a non-EPS machine, you wouldn’t really be able to tell. 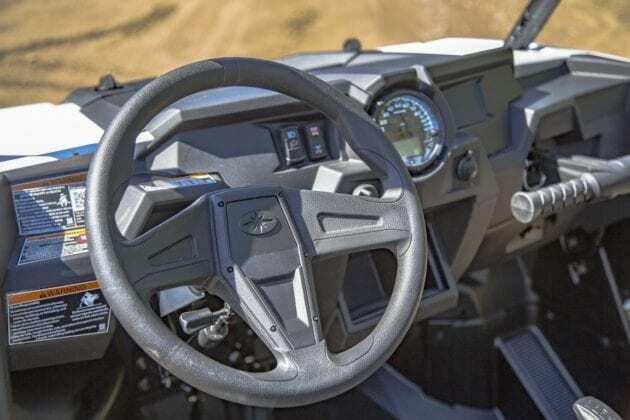 With no EPS, when the front wheels lock into drive, you definitely feel it on the steering wheel as it makes turning quite a bit more interesting. 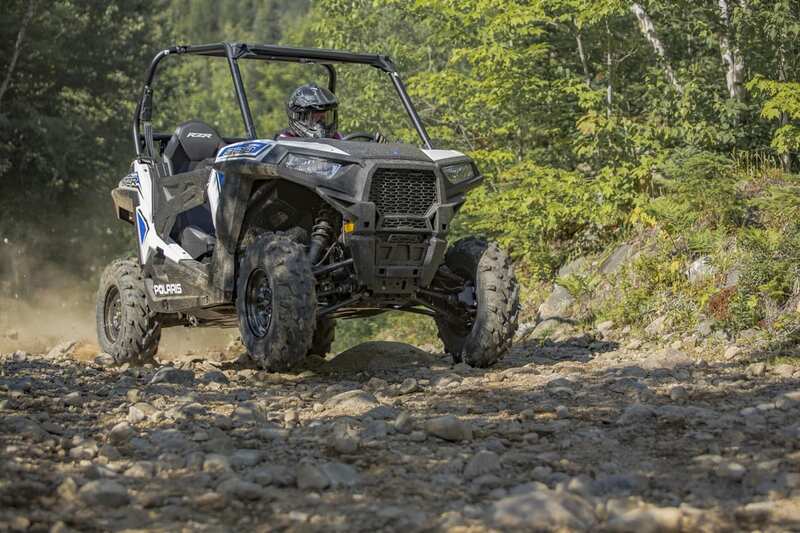 For tires, the RZR runs on 26-inch PXT tires, which are proprietary tires built for Polaris. They run on 12-inch steel wheels and get decent traction. The tires have directional tread and seemed to hold up well. We hammered the Trail on some pretty rocky terrain and never ran into a flat tire situation. 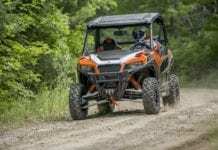 Do the tires hook up as good as a Maxxis Bighorn, or GBC Dirt Commander, tires that come standard on other RZR models? No, but for a decent, all-around trail tire, the PXTs worked well. 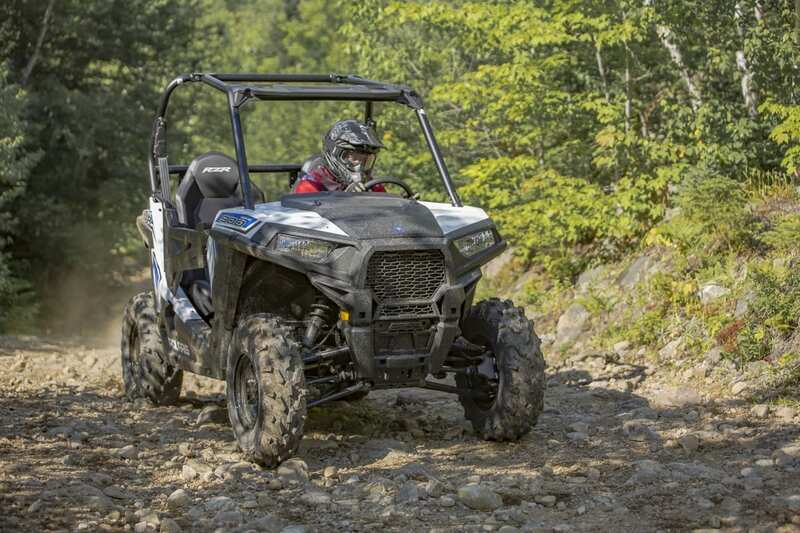 For a trail machine with 75 horsepower, suspension is pretty important. You can run yourself into trouble rather quickly if you’re not paying attention. Luckily the suspension system is good enough to help deflect some of that trouble from you. 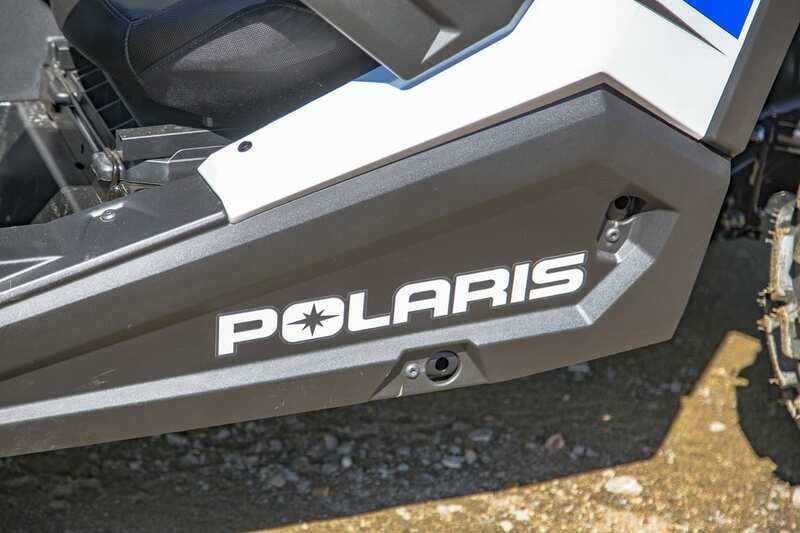 Polaris runs ZF Sachs shocks on all four corners that attach via dual A-arms with anti-sway bars. The sway bars are extremely important for a machine of this width. 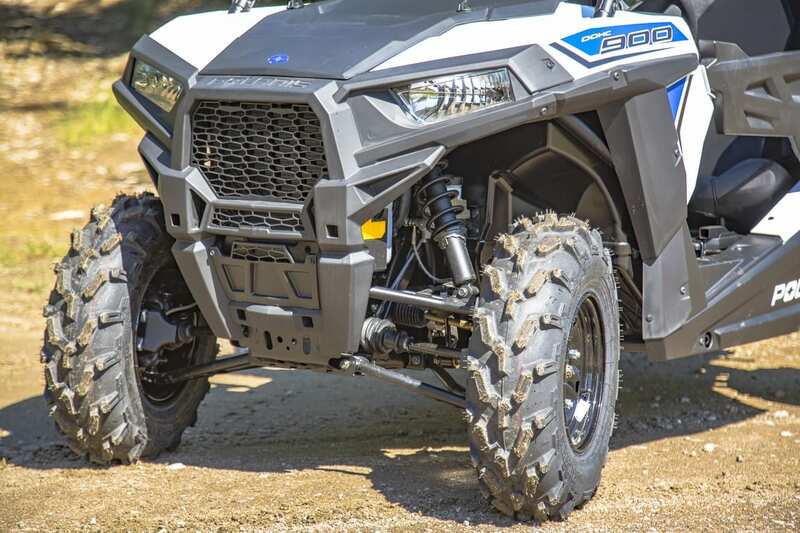 They allow you to cut a tight corner at speed without the body of the machine rolling you into a tree. The shocks have 10 inches of travel and have decent action. Are they the best shocks ever? No, but they aren’t the worst either. 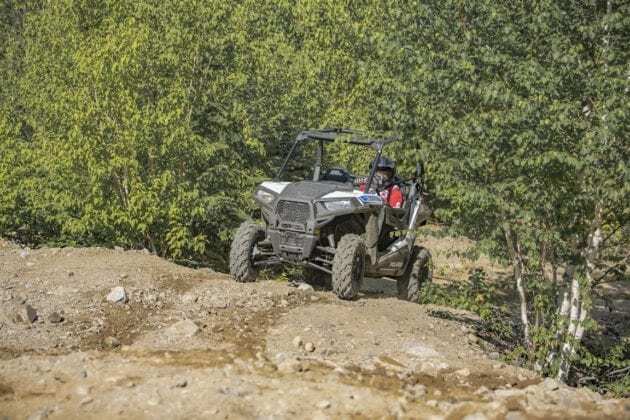 The RZR has 11-inches of total ground clearance, which combined with the tires and suspension gives it a pretty solid profile for busting down tight trails. We hammered it on our local trails and had to work to bottom it out. 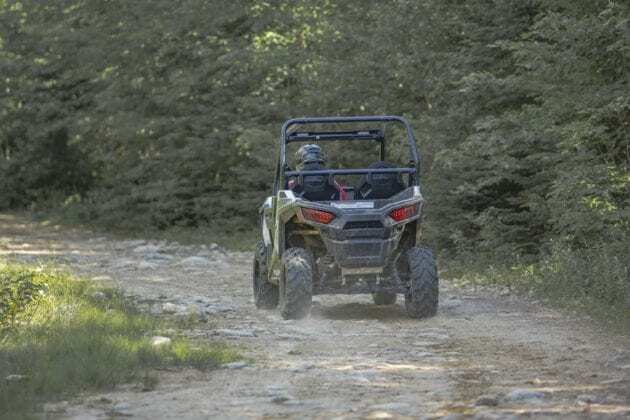 At 105-inches long with a 79-inch total wheelbase, the RZR cleared most humps and other trail formations with relative ease. We tried to high-center it, but could not get it hung up. 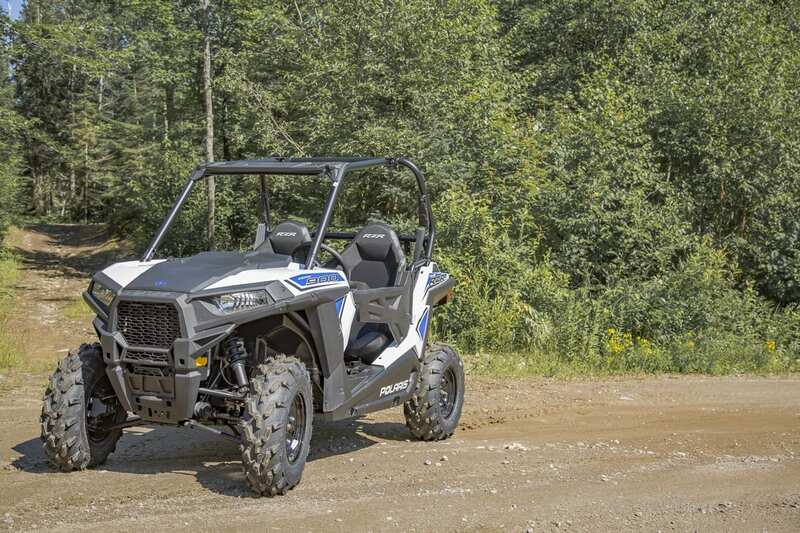 It helps that the RZR design has good approach and departure angles too. So how does Polaris get the Trail down to the minimum width? AT first glance it seems like all they did was shorten up the A-arms and tuck stuff in a bit, but there’s more to it than that. The suspension is more centralized, yes, but the whole system is moved in some to accommodate the decrease in width. The interior still feels like a standard RZR with one exception. The doors are straight instead of angling out like most RZR models do. This does make you feel a little more cramped inside the cab. Drivers with wider shoulder will definitely notice the decrease in interior room. Luckily the doors are low enough that if you’re uncomfortable, you can make it work by hanging your arm over the door a little. It wasn’t too bad, especially if you have both hands on the wheel screaming down the trail. And trust us, with no power steering, if you’re at speed, you definitely want both hands firmly gripping the wheel. We hot a few rocks the deflected the wheels and transmitted some extra jerks to the steering. It kept us on our toes for certain. 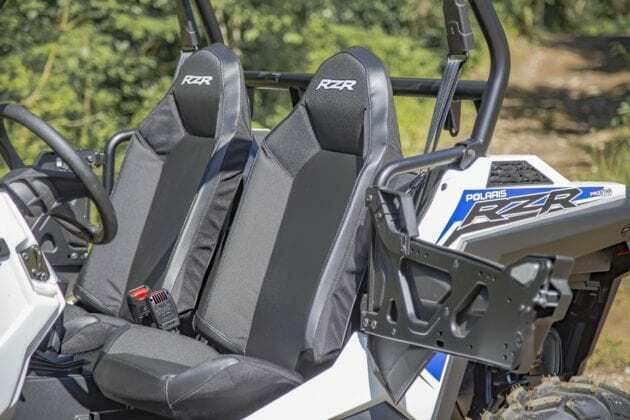 The cargo area is typical RZR. You can haul a few things there, and we found it to be a great spot to haul a cooler. It’ll hold up to 136 kg and has tie-down areas to keep stuff from sliding all over. There is a 1.25-inch receiver hitch for towing and towing capacity is 1,500 pounds. Not that RZRs do much toing, but it’s nice to know it can if you need it. That’s a silly question. If you’re looking for a great trail machine that you can blast down the tightest of trails, including the restricted ones, the RZR 900 Trail is a great option. If you can afford to go for it, we’d buy the EPS version, but the non-EPS machine is still completely capable and worthy of a look. 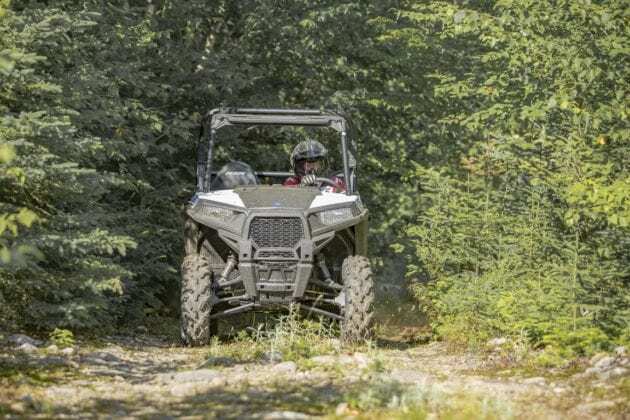 We had a lot of fun on our test unit and you can flat-out smoke some other trail-legal UTVs that are available with the 900 ProStar engine’s wealth of horsepower. 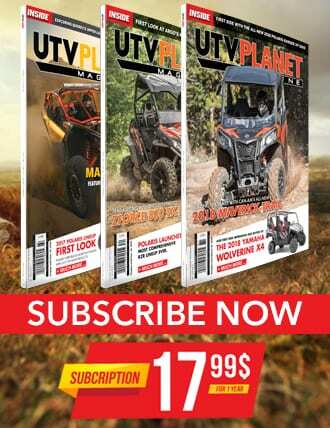 These are great machines and a lot of fun to drive. 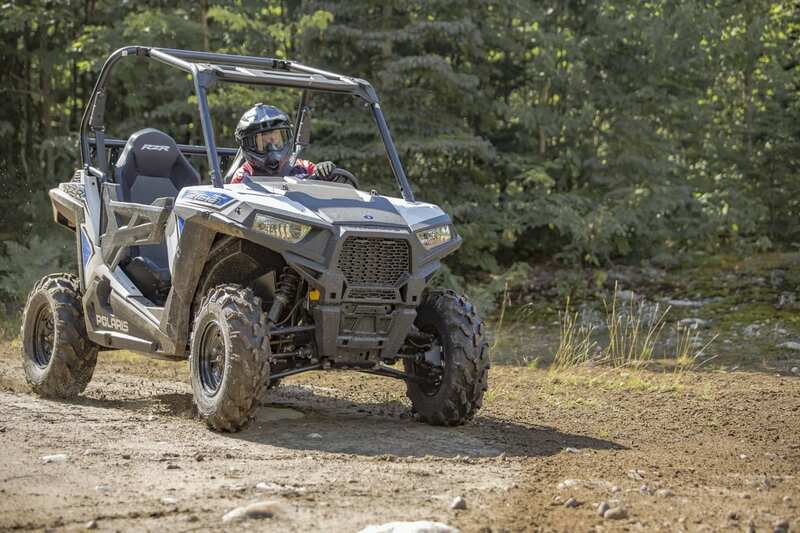 Go to your local Polaris dealership and check out one for yourself.